Lots of different people are finding lots of different ways to feel anxious about the state of the world these days. And a big part of that anxiety comes from thoughts about pollution. With so many people in the world doing so many different things and moving through so many different sets of products, the amount of waste coming from the human race is nearly incomprehensible. So what can you do to help clean up the planet, and then keep it clean? 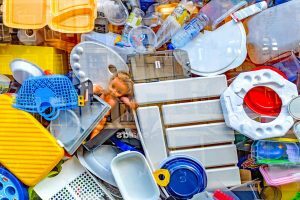 Some of the answers that you could meditate on include taking on the plastic problem, watching your personal carbon output, not wasting water, and recycling every possible thing that you can. Plastic, though convenient, is problematic as a pollutant. To take on pollution, scientists and individuals around the world are always trying to figure out ways to reduce, reuse, recycle, or find alternate methods to carry on activities that would usually use plastic, but use a renewable resource instead. Some ideas are particularly ingenious but may take a while to establish as mainstream thought. On a personal level, you can minimize your carbon output, also called your carbon footprint. Essentially, there are ways to determine how the activities that you go through every day create pollution into the environment. Carbon output often comes from energy use, driving your car, or doing anything else that ultimately releases pollutants into the atmosphere. People can only do so much, but companies have much more power to make an actual difference when it comes down to it. If you’re not familiar with how to determine your carbon footprint, some websites tell you all of the processes. Humanity cannot survive without water. Knowing that, it’s amazing how much water people consume in the name of convenience. If you want to help clean up the planet, adjust your relationship with water so that you are wasting as little as possible. Conservation may take a little bit of effort, energy, and focus on your part, but once you habituate it, you’ll find that not only are you helping, you’re becoming less anxious as well. The last thing that you can do worth mentioning that is very easy to do your part of the planet is to recycle everything that you can. Newspapers, paper products, plastic milk jugs, scrap metal – a lot of the things that you would normally consider as trash or waste can be recycled at the appropriate recycling centers. In your community, find out what the name of a local recycling place is, and then figure out how you can help convert your trash into recyclable formats.